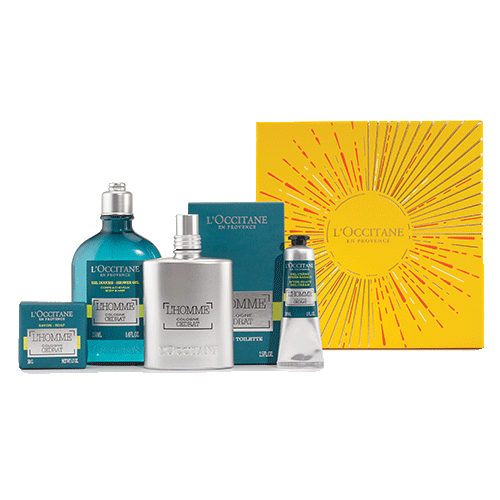 Give the gift of soft skin with luxurious gift sets from L’Occitane. Here are a few of our favorite picks for both women and men at up to 30% off. This comforting shea butter set keeps skin soft and supple from head to toe. Made from sustainably-sourced shea butter from Burkina Faso, this is a perfect introductory gift set for the friend new to the brand. Even the driest of hands don’t stand a chance with this rich hand cream set. Featuring six 1 oz. samples of L’Occitane’s most popular blends, this gift would be appreciated by the person who always has a hand cream within reach. For the special man in your life, this signature collection is sure to please. It comes complete with an eau de toilette, shower gel, after-shave cream, and bar of soap that delivers the invigorating fragrance of citrus and woody spices. Sometimes it’s the smallest gifts that pack the biggest punch. From insulated water bottles to sunglasses, Under Amour’s stocking stuffers are little gifts that offer big performance. Shop Black Friday to save up to 40%, Cyber Weekend (11/23-11/27) to save up to 40%, and Cyber Monday to save up to 50% – no code needed. This isn’t your ordinary water bottle. Built with an active lifestyle in mind, it uses vacuum insulation to keep drinks cold for up to 14 hours. It would make a perfect gift for the busy student or commuter. These super-soft women’s socks provide all-day comfort no matter the activity. The embedded arch support helps reduce foot fatigue so there’s no slowing down. 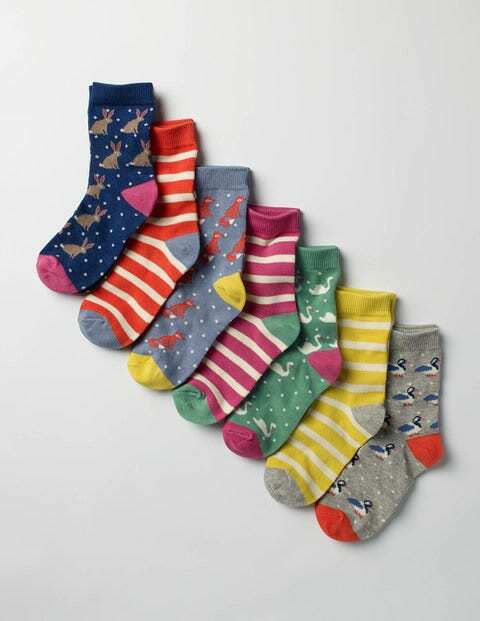 They make a great gift for the person who loves their plain white socks but can always use a pop of color. These classic unisex aviators can be dressed up or down to match any look. The polarized lenses eliminate glare for clearer vision and reduced eye fatigue without color distortion. A fail-proof gift for the person with a different pair of shades for each day of the week or for the person just starting to wear them. Hand-me-down quality and legendary softness are gifts that never go out of style. The new Critters + Hugs collection from Hanna Andersson is pure gift-worthy coziness, crafted with the plushest sherpa and faux-fur details to keep your littles warm for winters to come. Here are a few of our cozy faves. This extra comfy-cotton jersey tee is ready for winter fun. From polar bears to dachshunds, this tee is up for every adventure this season. Critters meet cozy in this snuggly sweatshirt. Kid tested and approved, it’s the perfect combination of cuteness and durability. This cozy-soft alpaca and acrylic hat keeps little ones warm all winter long. The sweet critter ears are just an added bonus. Shine all season long with Talbots’ newest arrivals. From sparkle tweed pants to sequined sweaters, Talbots is your destination for all things holiday fashion. Plus, take 30% off 1 item or 40% off 2+ items with code HOLIDAY from now through 12/13. Here are a few of our favorite pieces. These neutral, light grey tweed ankle pants are anything but ordinary. With just the right hint of sparkle and shine, go from the office to holiday festivities without missing a beat. This comfortable yet chic blazer is quintessential holiday style. With a faux-fur collar and three button front, pair this blazer with a sparkly silver necklace to really shine this season. The simple blouse gets a festive upgrade with a sequin-embellished neckline. Made of drapey cotton-rayon, it’s as comfortable as it is elegant, making it the perfect go-to holiday top. Give friends and family the gift of coffee and tea this holiday season with premium gourmet pods from Intelligent Blends. Here are a few of our favorite picks. For a wonderfully bold cup o’ joe, this Espresso Blend packs a strong punch. Even the strongest coffee lovers will be impressed. This variety pack contains four incredible blends of organic coffee from some of the best growing regions around the world. This limited edition gift would be perfect for the person who supports fair trade blends and local economies. Don’t forget the tea lover on your list! This English blend of Assam, Ceylon, and Kenyan teas is full-bodies, robust and rich, making it the perfect way to start a cold winter’s day. Gift generously with Bobeau’s curated selection of top fashion gifts. Whether shopping for something classic, like a cardigan, or luxurious, like faux fur, there’s something for every women on your list. Shop their Black Friday week event from 11/19-11/25 and save 20% off $100+, 25% off $150+, and 30% off $200+. Relaxed yet refined, this ultra soft and light weight cardigan is a classic wardrobe staple. A perfect gift for the girl who values comfort as much as style. For the friend who has everything, this faux fur collar cardigan is sure to be a first. The loose weave design is casual enough to wear on the weekend, while the collar makes it a chic piece to wear for date night. This tee is a perfect gift for the friend who loves crushed velvet as much as her favorite t-shirt. Pair with jeans for a casual vibe or a tuxedo blazer for girl’s night out. From sweater jumpsuits to cascading maxi dresses, Rachel Pally’s holiday arrivals are anything but ordinary. Shop Black Friday on 11/24 and Cyber Monday on 11/27 to save 25% sitewide. Here are our favorite pieces for switching it up and looking festive this holiday season. Take your holiday look to new heights in this ‘70s-inspired sweater jumpsuit. Pair with strap gold heels to add some glam to this retro look. Whether hosting your own get-together or headed to a friend’s, this outfit is sure to stun. Shine bright all season long in this gorgeous sweater dress. Looking glamorous and feeling comfortable aren’t mutually exclusive in this luxe piece. The gold fabric makes it a classic choice for a black tie New Year’s Eve party. Embody goddess vibes in this romantic wrap dress. The bell sleeves are the perfect touch for an effortlessly feminine look. You’ll feel both dressy and relaxed at even the most formal holiday parties. From baby’s first cashmere cardigan to cozy sock sets, Boden offers quality fabrics and designs for children. This holiday season, discover top gifts for kids of all ages. Shop Boden’s Black Friday week event from 11/21-11/27 to take 30% off site-wide. Plus, get free shipping & returns on all purchases. Here are a few of our favorite gifts for kids this holiday season. This ultra-soft, 100% cashmere cardigan is adorable and functional. It’s machine washable, so no need to worry about food or dirt getting on it. Plus, it comes in a lovely presentation box, perfect for a Christmas surprise. The littlest sock lovers will delight in this whimsical gift set. With a different design for each day of the week, their toes will be kept warm all winter in a soft cotton blend and colorful patterns. Bath time just got more enjoyable with this super-absorbent (and precious) hooded towel. It comes packaged in a drawstring bag, making it a perfect present or stocking stuffer for kiddos up to 3-years-old. As a mom, I love to shop for less and earn while I shop if possible. One of my blogging friends shared information about Dealspotr in our mastermind group. I am not a newbie to savings app as I have Ibotta loaded on my smartphone. Ibotta allows you to earn while you shop in specific retail stores. Typically, I use it for my grocery store runs. While I have earned a few dollars in the past year and a half, I find the app a bit restrictive. You can only earn money on specific products each week. Another feature with Ibotta that was disappointing about is the fact that the products each week are the same from retail store to retail store. For example, whether I shop at Target or CVS I only have an opportunity to earn money on the same products. My weekend errands include shopping at various stores because each store offers specific items. This app limits my earning potential each week and not using the app. 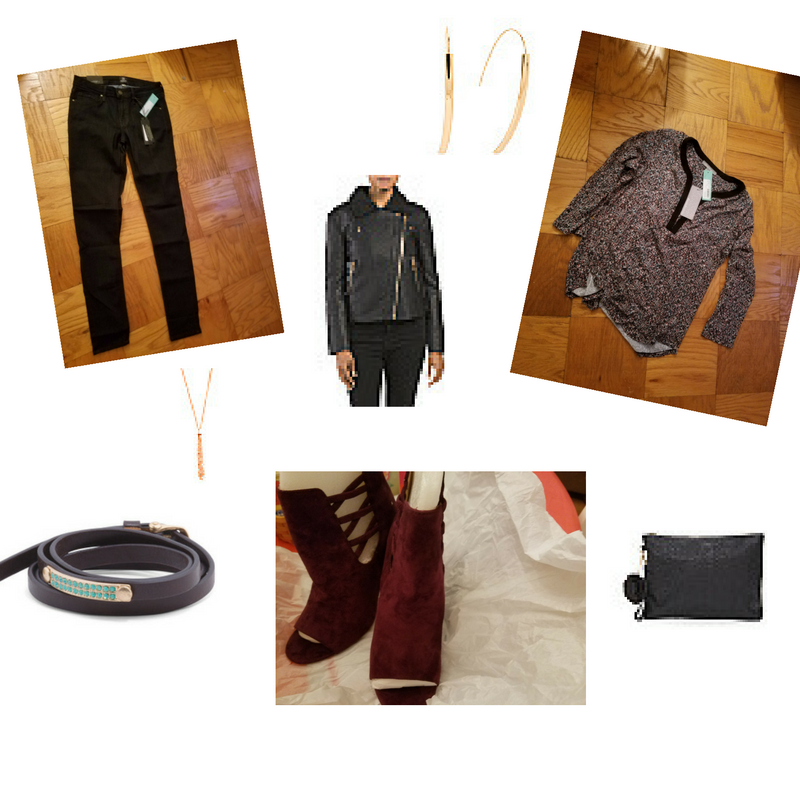 On Dealspotr, I love the fact that I can connect with all of my favorite brands in one place. If I’m out shopping on the weekend I can easily check the Dealspotr site from my smartphone for coupons and deals at top retailers or eateries in real time. I can earn rewards and income in a variety of ways. This makes using the site really fun and engaging with other influencers within the Dealspotr community. Brands can also promote their deals which gives you thousands of possibilities for savings. As a social media influencer, Dealspotr allows you to connect with other influencers by reposting their deals, sharing on social media and following one another. Also, there is a Dealspotr Facebook group if you have questions and concerns on using the platform. 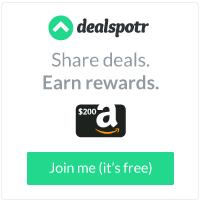 As a member of Dealspotr, the first step is to post deals. You earn points by posting deals. These points go toward earning an Amazon gift card. For every 10,000 points earned, you are rewarded with an Amazon $10 gift card. 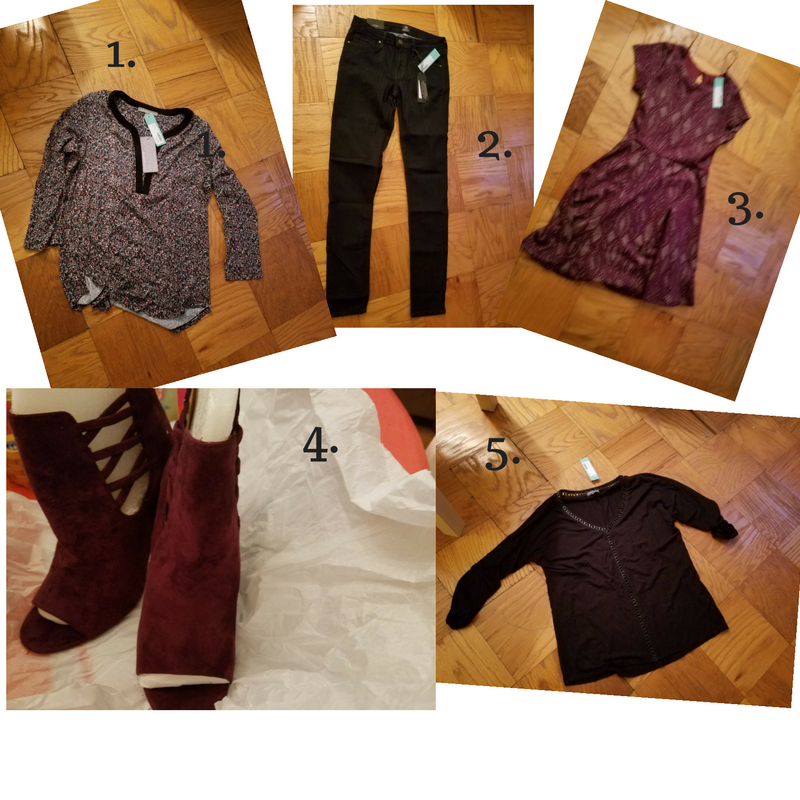 I find a lot of my deals from my inbox or I check the websites of my favorite retailers to see what is current. Another step to getting started is to follow your favorite stores and create a list of interests. Interests include retail goods you have an interest in such as women’s fashions, women’s shoes, decor, dining, etc. Once you get started you create will create a deal feed with your specific brands of interest. From your deal feed, you can repost deals (sharing with your followers), share on social media or use the deal widget to share on your blog or website. If there is a specific deal that you think has major appeal, you can spot the deal which ranks the deal. Another way to earn points is to complete your daily checklist. As an influencer, the network allows more earning potential and the ability to connect with other influencers. Lastly, there is the opportunity to earn with referrals. In comparison to Ibotta, my earning potential with Dealspotr is greater. There are no restrictions on the types of savings because there are thousands of brands and deals to choose from whenever I am shopping. The best feature is the engagement as an influencer and the ability to grow my network with other influencers due to the community. Dealspotr offers opportunities to grow through the exchange of information within the community. Also, the community is very focused on continuous improvement by encouraging members to share feedback as new features are added. Dealspotr blog. 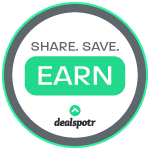 Dealspotr is the most accurate coupon site that pays you to save. 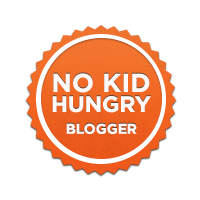 I’m @CocoaMommy on Dealspotr, use my link to join today and earn 5,000 bonus points. Tablets are the best portable technology. Apple technology is some of the most highly coveted in the world. Their innovation-based approach, as well as their keen eye for details has made the brand a household name. Unfortunately, the Apple product is not cheap. In fact, most Americans will agree that iPads, Macs, and iPhones are an expensive investment, especially when compared to other similar products. So, how exactly do you buy an iPad at the lowest possible price? We have gathered some tips to help you find the very best iPad deal for you (or for someone you love) – so read on and find out more. There are plenty of reasons to love Apple and their products. From the sleek and ultra-minimalist designs to the devices themselves, Apple-branded technology screams quality, perfection, and creativity. Therefore, it is no wonder their iPad is also one of the most popular gift options of all time. 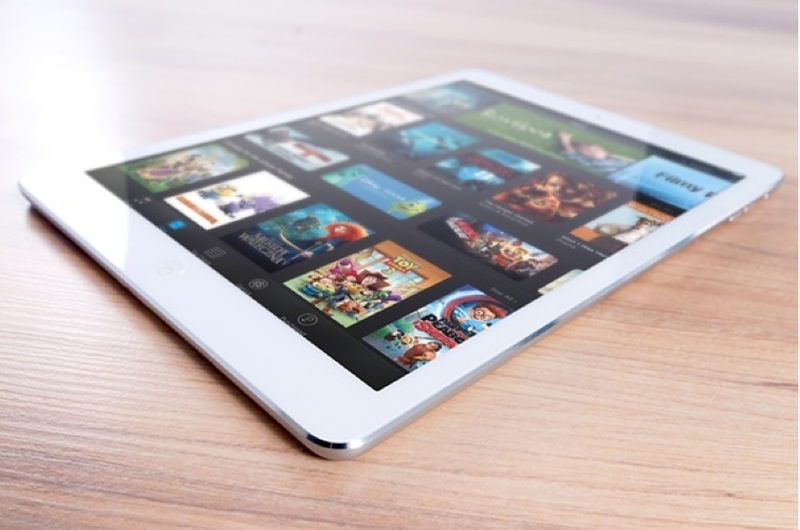 Apple’s iPad turned tablets into a popular must-have before any of the Android tablets even came along. Of course, other brands did eventually catch up and they can compete with the classic iPad – but the truth is Apple fans will never give up on their passion for the tech giant’s products. Why buy an iPad? It is practical, and Apple regularly updates it to improve its functionality, plus it is convenient and fun to use! Every model of the iPad has its pros and cons depending on the options you want. There are so many features you may have to compromise, depending on how picky you are, and the model you choose. Thankfully, there are numerous online stores offering huge discounts on Black Friday. Given this holiday is rapidly approaching, this could be a great opportunity for you to save some serious dollars and get a cheap iPad. What are the best online stores to check out on Black Friday if you want to purchase a less expensive iPad? In general, it is worth keeping an eye on the major online retailers, as they are most likely to have significant discounts on their iPads. Some of the biggest names include BestBuy, NewEgg, Target, Amazon and eBay. If you do choose to buy your new iPad online, it is highly advisable you give yourself plenty of time to do your research and get familiar with the pre-Black Friday prices. This way, you can maximize your savings once Black Friday and Cyber Monday offers are live. As the holiday season begins, the demand for a cheap iPad Air and iPad minis is likely to skyrocket – and the prices will probably go up too. Thus, if you did not find a good deal on Black Friday, you might find a better one after Christmas, when retailers clear out their inventories after the Holiday buying spree. Although coupons may not always feel like a great deal for iPads, the savings can add up. If you use your coupons on top of an already-existing discount, you stand an excellent chance to save a lot more money on an outstanding product. If you want an iPad at the lowest price, but you are not overly concerned about owning the latest and greatest generation of Apple tablet, wait and buy just as the company releases a new model. That is when Apple will offer substantial discounts on their older generation gadgets. You can often save hundreds of dollars this way. The iPad Mini is smaller, less expensive, but offers almost all the same great features as the normal-sized tablet. 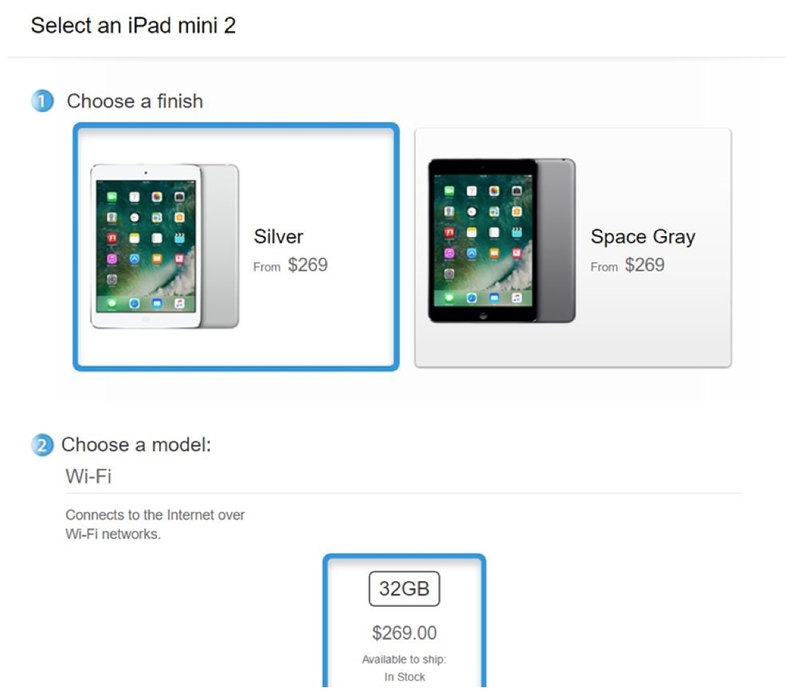 Currently, the cheapest iPad Mini starts at $269 for the Second Generation, and the price rises to $399 for the Fourth Generation. Of course, the difference among the generations varies slightly in specifications or design. You can review the comparison page on Apple’s site to get a sense of exactly what features each generation has. If you are willing to settle for a smaller version of the traditional iPad, the iPad mini could be a great option. The term “refurbished” often equates to “used” in people’s minds. This is not the case at all. Refurbished products are not the same as the second-hand ones. To receive the “refurbished” designation, the manufacturer must test, clean, and even re-polish the casing according to strict standards. Therefore, refurbished products, though priced less than new models, are usually more expensive than those that are second-hand due to the care that is taken to make the refurbished product look and function like new. Keep in mind that refurbished items tend to have a shorter warranty period than brand new products have. However, if you are the type of person that wants a new model every couple of years, the refurbished warranty period should suffice. You can find great iPad deals in almost all large electronic retail stores, as well as on Apple’s official website. Unlike refurbished products, used (or second-hand) iPads are not necessarily repaired/renewed according to Apple’s standards. Thus, there may be small issues with the way they look (or even function), though these differences are minor. The price difference between new and used can be significant. You typically can save a considerable amount of money by buying used. If you do your research and only buy from reputable sellers, you can get a great deal by buying used. Read the reviews not only on the product but also regarding the vendor and the company’s return policies. Don’t click that Buy button before you do so! Buy from a trustworthy site. Be exceptionally careful when purchasing something from Craigslist and similar websites. If the deal appears to be extremely good compared to traditional retail sites like Amazon, beware! Usually, as the saying goes, what sounds too good to be true usually is. The best way to make sure you are putting your money into a real, quality iPad? Buy it from a friend! You may find a cheap iPad for sale online but if you buy through a friend, you may get an even better price. If you know someone who wants to buy a new iPad, maybe they will sell you his or her old one. A friend will tell you of any quirks or issues with the model. Unlike buying from an auction site or a stranger, you have a reliable seller you can trust. Already own an iPad, but want to make the switch to a newer (or higher-end) option? Try to sell your old one first. It will not save you money on the item you purchase, but it is an excellent way to cushion the spending for the new product. Some online retailers allow you to trade-in your old iPad on a new one. However, if you sell it you may be able to get more for it, giving you more money to put down on a new one. The key to maximizing your cost savings is to be creative about the way you spend your money. For instance, if you want to buy an iPad at the lowest price on the market, research each option before making your decision. Do the math, check for coupons. Find out how much your old iPad is worth and how easy it is to sell. For example, perhaps you are looking at iPad Mini 3 on the Apple website. At the moment, a refurbished product sells for $249. If you find a coupon worth approximately $20 and sell your old iPad Mini 2 for $100, you will pay less than half the price for the refurbished model or $129. Warning: Avoid bidding websites if you want to be 100% certain you are getting an original iPad. As can happen on Craigslist, bidding sites often have hidden fees or what you get is not exactly what you expected. Owning an Apple iPad can be addicting. 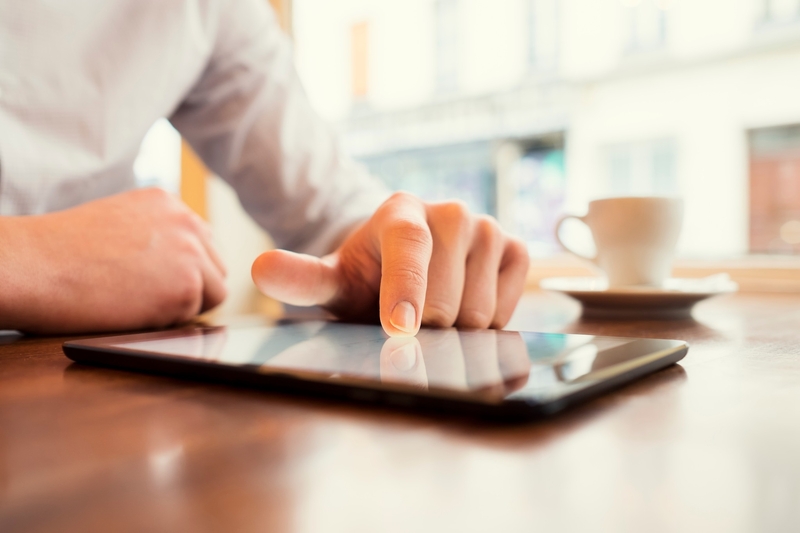 Users report that the convenience of an iPad improves productivity and makes it convenient and comfortable to connect to the web for entertainment and other purposes. Apple’s iPad and the Mini versions have become an iconic part of the American and global culture. You do not have to pay a fortune to own an iPad. If you take your time, do your research, and follow these tips, you can find some fantastic iPad, iPad mini, and iPad air deals that won’t break the bank. Do your homework, find the very best iPad deal and invest in a superb product. If you do so, maybe you can afford to buy all your family members an iPad this Holiday season! I was just in Target on Sunday and the store was literally out of the line except for the above print in separates. The pieces left were in sizes L or XL. The fabric quality was far better than I expected. I love the FLOTUS she really knows how to accessorize, the bright blue cardigan and red belt give this dress a great look! On February 5th when the line premiered the Target sales associate told me that women lined up got in and snatched everything off the racks without trying anything on. She also told me the store has no plans to replinish the inventory another tip she gave me is to like the Target FB page so I get a heads up on the next designer line for summer. If you go online, a lot of the online items are sold out! I love insider information, Happy Shopping!